It is hard to believe that the first Disney Wine & Dine Half Marathon took place almost 5 years ago, but it is true. This amazing night time Half Marathon makes its way through Disney's Animal Kingdom and Disney's Hollywood Studios on the way to a finish at Epcot and a special late night party inside Epcot to enjoy the Epcot Food & Wine Festival. Disney Yellow Shoes Art Director David Brotherton has been busy designing an amazing finisher medal to celebrate the 5th anniversary of the Wine and Dine Half Marathon. 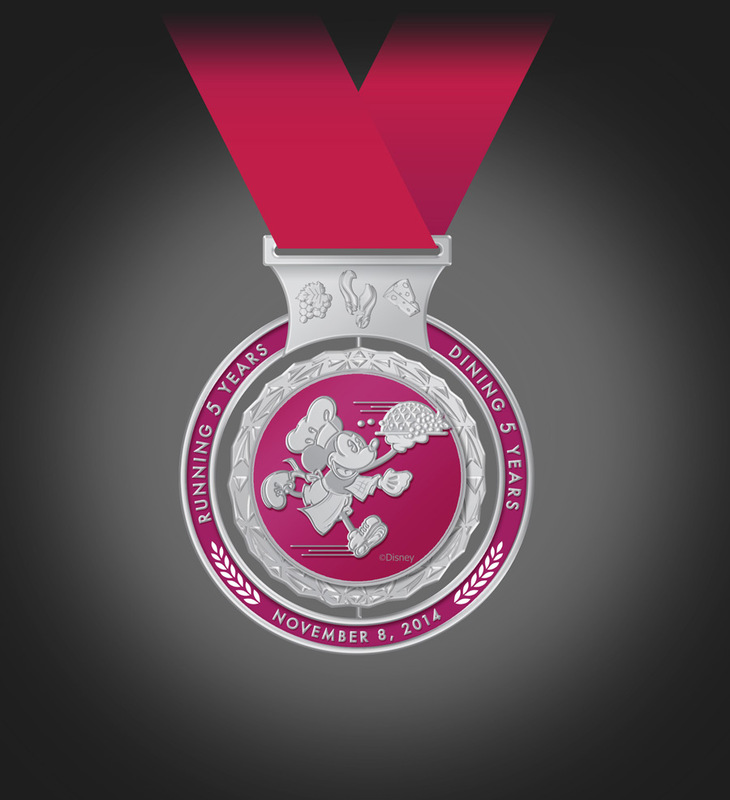 The Wine and Dine anniversary medal captures the essence of the race with color and design, and features a spinner at the heart of the medal. One side represents the tradition of past medals and is inspired by Spaceship Earth, while the other side showcases chef Mickey on the run. A fitting reward to those taking on the sold-out half marathon in November. 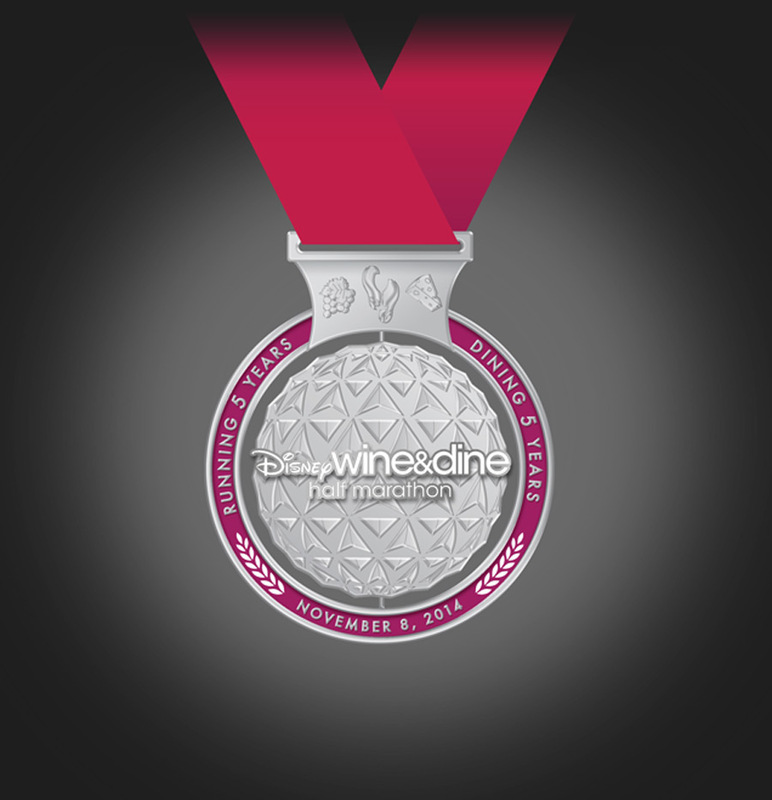 0 comments to "runDisney Unveils New Medal Design For Wine & Dine Half Marathon"